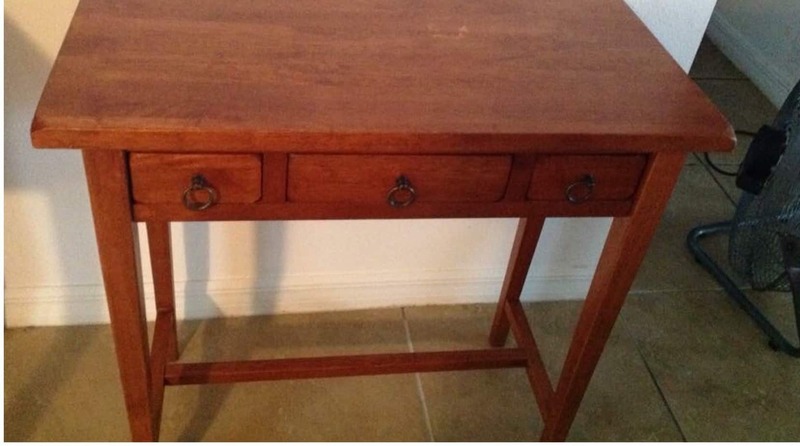 06 Nov Beautiful Hall Table Refinish For Less Than $10! a few months back. We selected 10 awesome furniture flips as the winners. We are recognizing each piece in it's own shout out/post (in no particular order). This beautiful hall table refinish was done by Ferris Mueller, who shares her fun ventures on her Facebook page Dirt Floor Furniture. We loved this piece for several reasons. One of those reasons being it cost her less than $10! (You know we love to save money.) 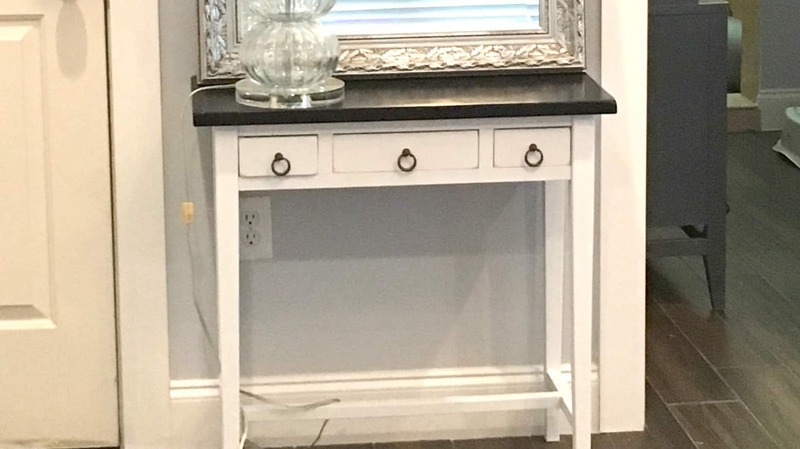 She was looking for something with specific dimensions for their entryway and found this table on a Facebook reselling group. She was able to snag it for less than $10! It needed to be painted to fit their decorating taste. Ferris had all the supplies on hand so she didn't need to purchase anything. I realize that there was still a cost for the paint she used, but she didn't have to go out any extra money for this hall table refinish. When you buy the paint and stain in larger quantities for several items, the cost of supplies for each item goes down a lot. This is a very solid table, which is key to any furniture redo. You need to start with good bones: a solid wood and a sturdy piece. Don't try to use particle board or something cheap from Ikea (sorry to anyone who loves Ikea). Look how gorgeous it turned out! I seriously want to buy it! 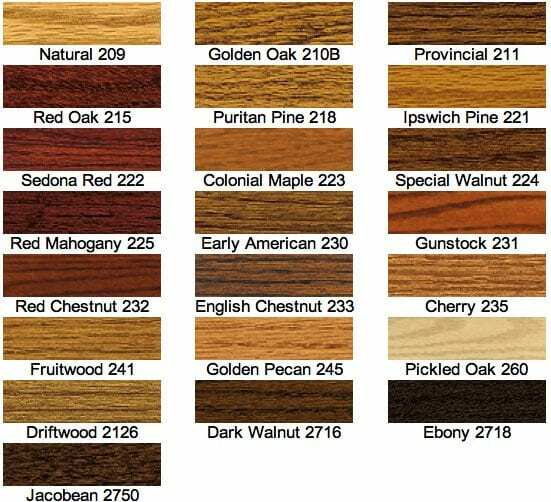 So for those of you who are new to furniture refinishing (like me), here is an example of the Jacobean color from the Minwax gel stain colors. The Jacobean color is the bottom left. Don't forget to follow Ferris on her Facebook page Dirt Floor Furniture for some great tips! She creates some great pieces (as you can tell by this hall table refinish). Are you a furniture flipper? Have you ever thought of selling your items on eBay to reach more people and make a bigger profit? Grab our free PDF download: 3 common myths about shipping furniture. This will also add you to our flea market flips and eBay tip updates. You can unsubscribe anytime. Check out the first flip in this contest series: an old wardrobe turned into a farmhouse pantry. What is your favorite stain color to use? Do you use gel stain on your pieces? Comment below!